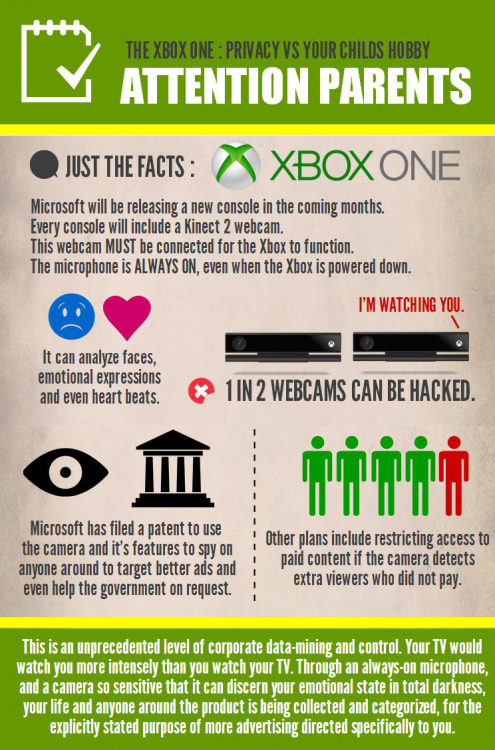 Better not fap in front of your xbox one. The limits on this system are REALLY messed up though. Sigh. Really Microsoft? Really? Did you guys learn *nothing* from your time as a convicted monopoly? 1984, coming true. And in the book the author predicted that it would be the government watching our every move, not big business. yeah, I hope this game system falls. (actually one thing to this, it's not out yet. But still, I hope it doesn't happen).